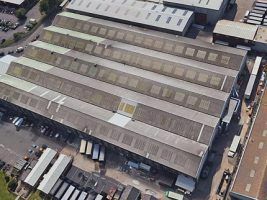 The building holds a great local historic importance and therefore the client wanted to continue its legacy by fully refurbishing its roof covering and drainage system. We are now well underway installing an insulated Oversheeting system to meet Building Regulations whilst incorporating an improved guttering layout to satisfy modern day design requirements. All existing rooflights will be replaced and damaged internal lining panels replaced to further enhance the internal working environment for both employees and visitors. We shall look forward to reporting the final job once completed.